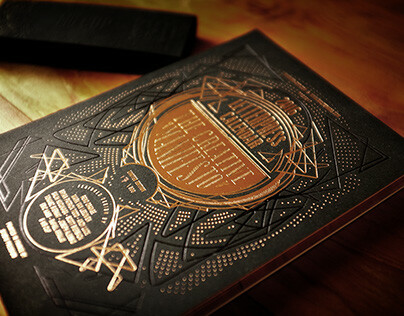 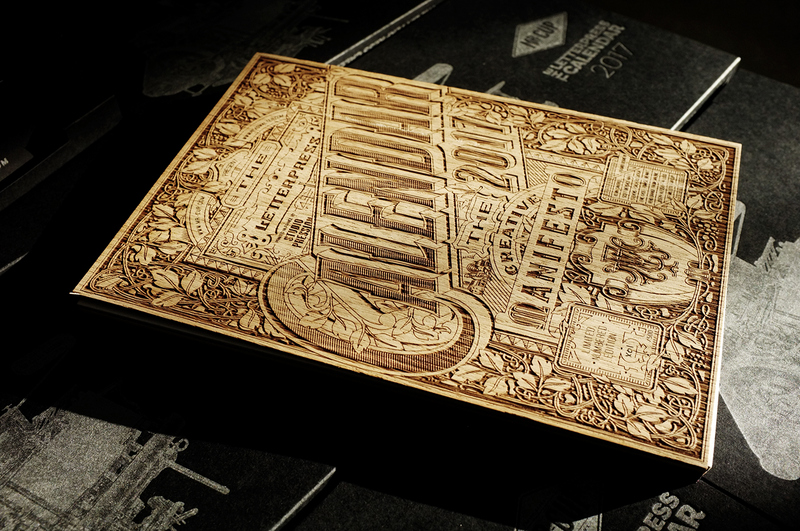 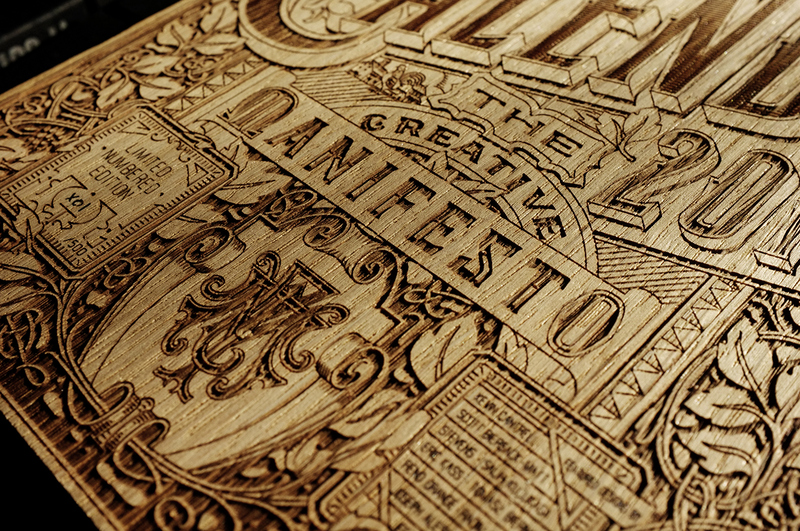 The front cover of the Deluxe edition is laser engraved on wood and limited to the 200 first copies. 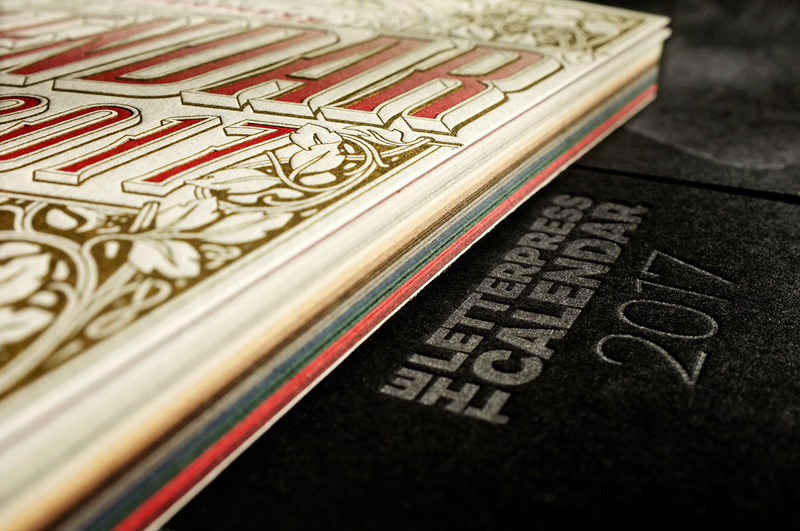 The normal edition cover is printed on white paper with 2 colors. It is a numbered limited edition. 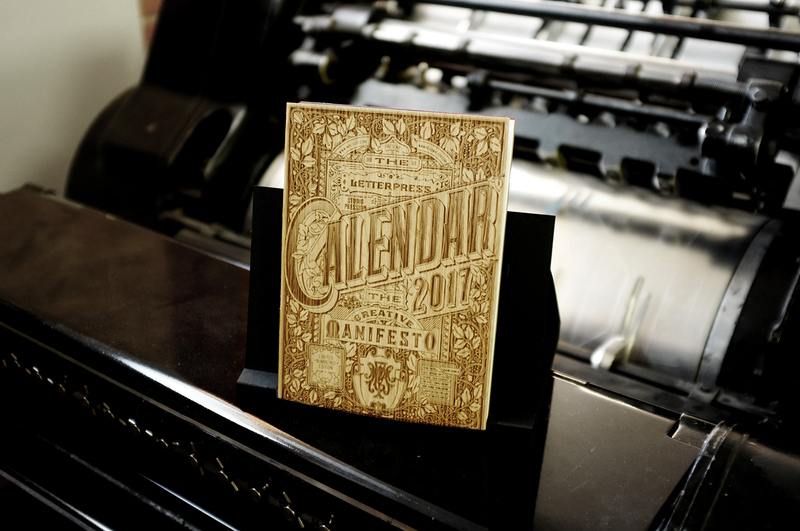 The calendar is composed of 13 20x14 cm cards printed on 700g colorplan papers : 6 light colors papers with black printing / 6 dark colors papers with light printing. 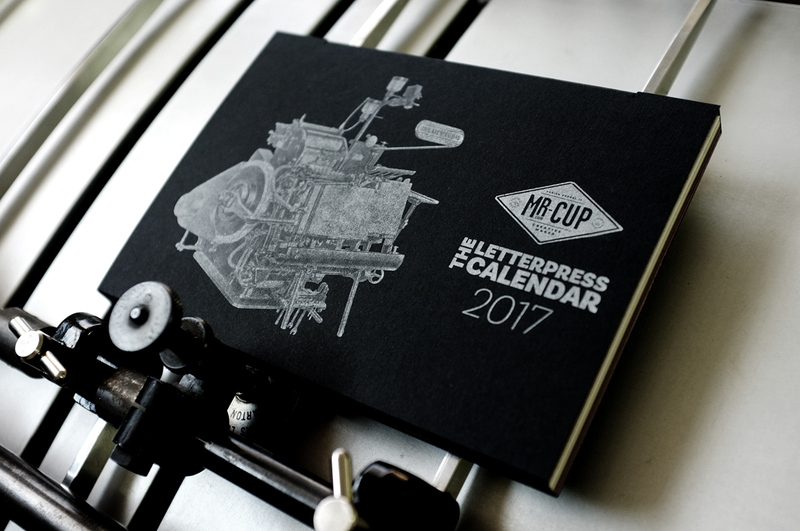 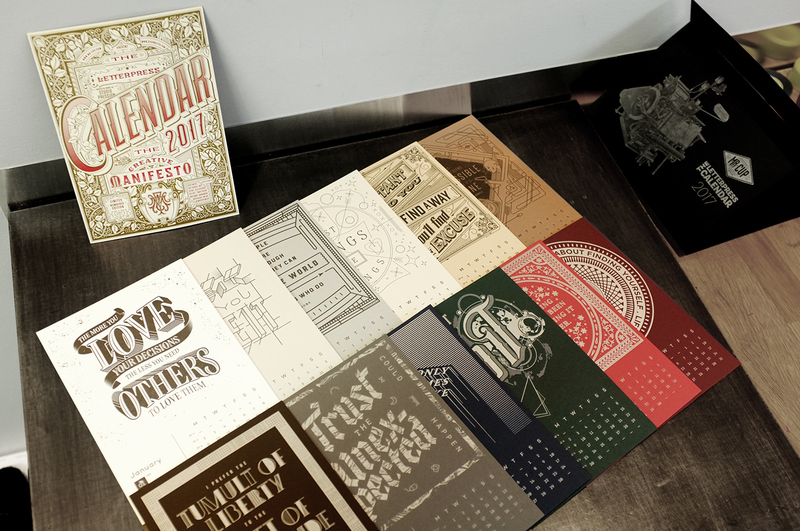 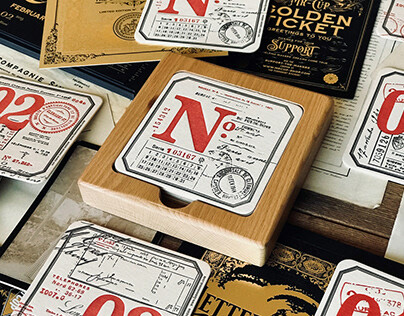 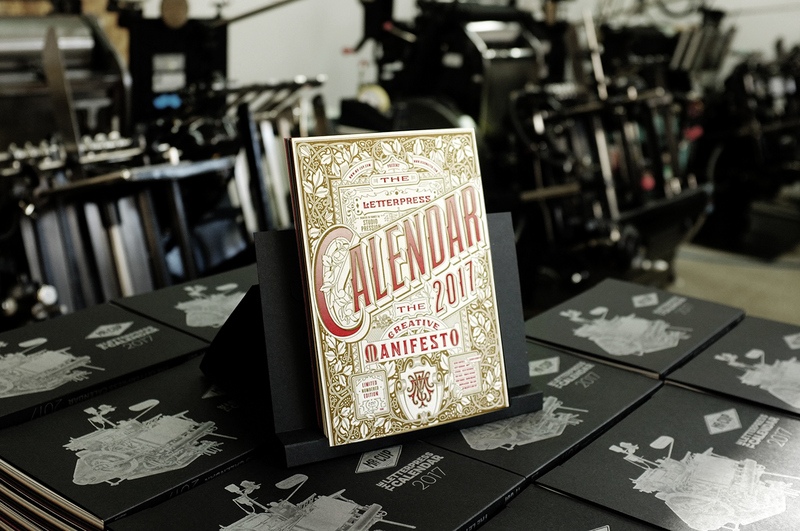 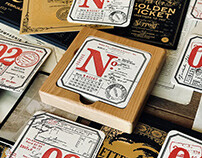 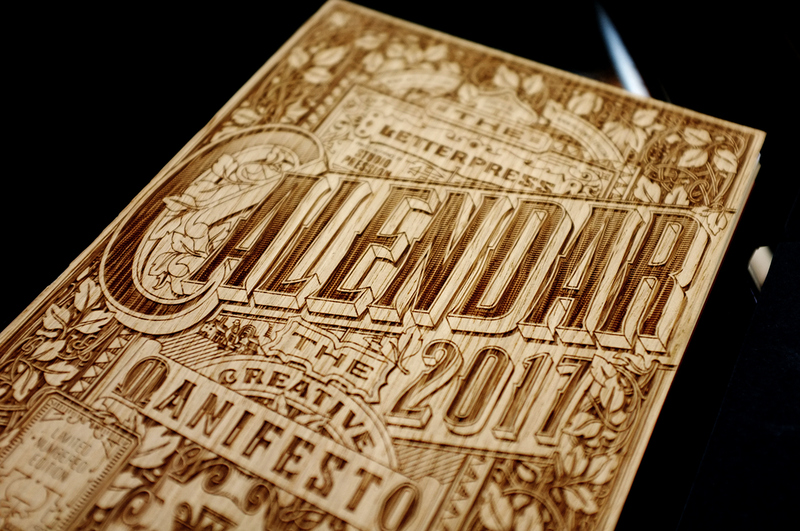 It comes in a black silver printed cover which undold to be use as a stander for the calendar ! 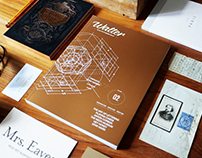 The front cover is designed by Kevin Cantrell. 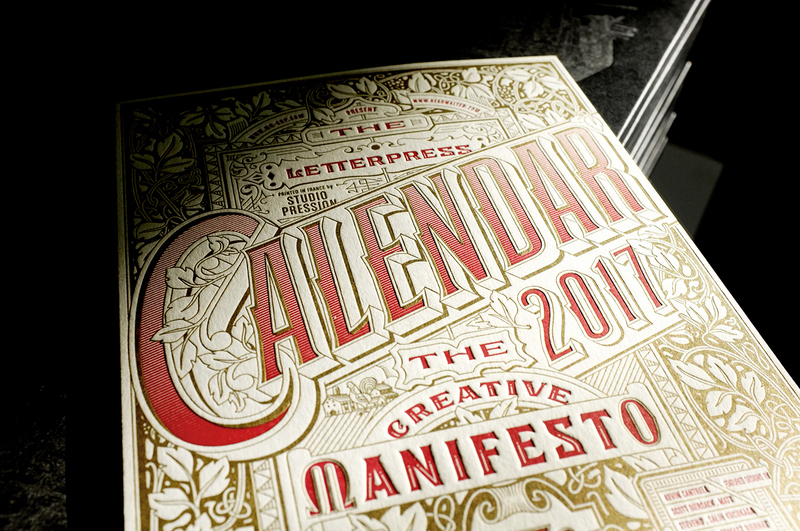 For this edition, I ask graphic designer and typographer to create unique font work. 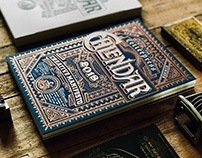 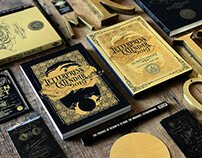 This year edition will feature unique designs by Matt Stevens , Jef Millotte, Scott Biersack, Tom Ludd ,Renaud Orange, Tomasz Biernat, Joseph Alessio, Salih Kucukaga, RADIM MALINIC and Eric Kass. 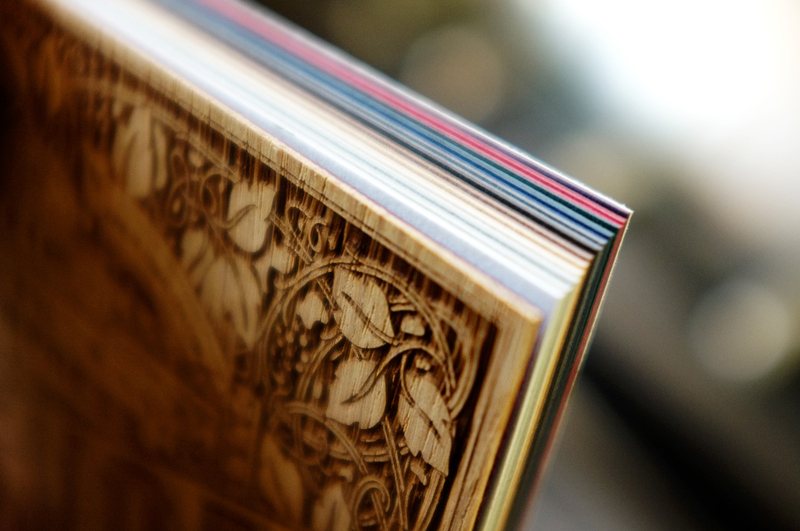 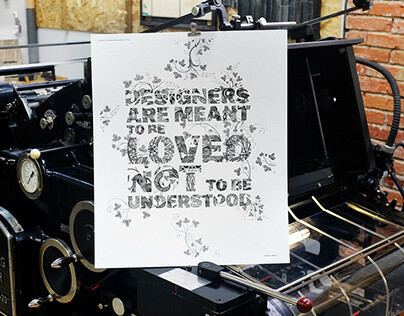 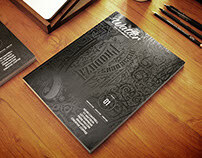 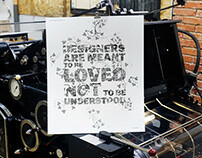 It is printed in France by StudiO PRESSION.